Together with the source code, we again provide a pre-built one-file-executable for 64-bit Linux (AppImage), as well as binary installers for 32- and 64-bit Microsoft Windows. You can find them on our download page. 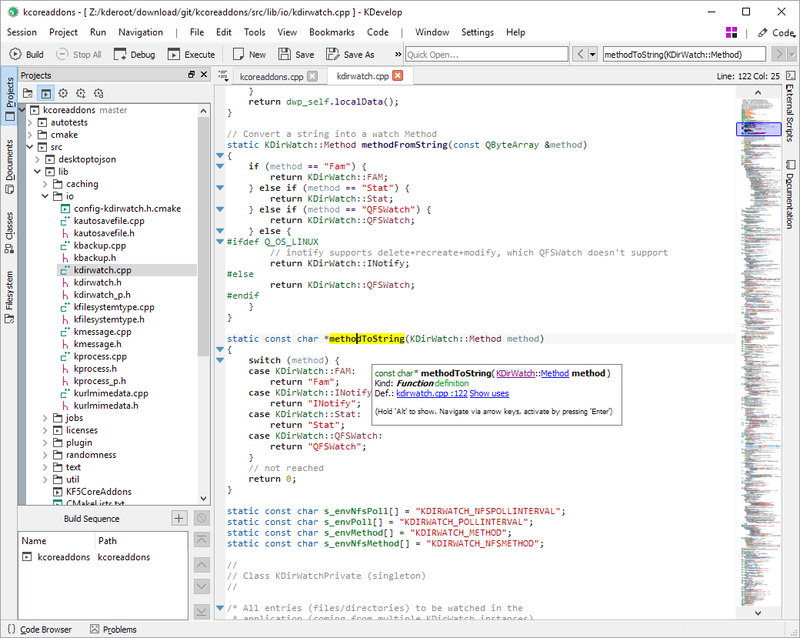 One month after the release of KDevelop 5.0.0, we are happy to release KDevelop 5.0.1 today, fixing a list of issues discovered with 5.0.0. The list of changes below is not exhaustive, but just mentions the most important improvements; for a detailed list, please see our git history. An update to version 5.0.1 is highly recommended for everyone using 5.0.0.